After the events of 2.0, Asuka has had cybernetic implants embedded into her body. At the very least he has lost his left leg here and quite possibly his left arm as well, as we don't see it protruding from the covers. Now, in NTE, Shinji crushes Asuka's entry plug with her still inside, probably causing massive injuries resulting in that shot of her fully encased in some recovery coffin thing. There is no way that a person with a normally functioning arm could do that without injuring themselves in the process. She also is never seen out of her plugsuit for the duration of the movie, potentially concealing any artificial limb(s) she might have underneath. We already know there's something going on with her eye, so it's not outside the realm of possibility that her eye wasn't the only part of her body that was modified. The explanation provided in the actual films is that excessive plug depth results in the pilots "losing their humanity". They look human enough, sure, but Asuka attributes her youthful appearance to "the curse of Eva" and uses the term "Lilin" at the end of 3.0, indicating she no longer considers herself one. It seems reasonable to attribute the superhuman strength to the "curse" as well. She could've become a angel thanks to Bardiel. That's explains the crack on the glass through her fist. And because what happened to her durring the incident in Matsushiro and the Plugsuit she had on at first in 3.0, she could be scarred in a simlair manner like in EoE. Reichu wrote: The explanation provided in the actual films is that excessive plug depth results in the pilots "losing their humanity". They look human enough, sure, but Asuka attributes her youthful appearance to "the curse of Eva" and uses the term "Lilin" at the end of 3.0, indicating she no longer considers herself one. It seems reasonable to attribute the superhuman strength to the "curse" as well. Not that you're wrong or anything, but OPs idea about her being a cyborg in no way conflicts with the curse of Eva and her "losing her humanity", as ambiguous as that statement is. I'm not saying she definitely is a cyborg or anything, but high functioning limbs made of cybernetic components isn't outside the realm of possibility here. Despite there not really being any evidence for it being why she cracked the glass, there isn't much evidence behind the idea that having lost her humanity has given her superhuman strength or prevents her from the injury she likely would've sustained from hitting the glass with that kind of force. Assuming her cracking the glass there isn't just artistic license used to convey deep seated issues she has as result of what Shinji allegedly triggered, I think her having cybernetic limbs which is what allowed for that kind of strength is just as likely as the fact that she's "lost her humanity" due to the curse of the Eva. Shinji doesn't show any signs of having superhuman strength, nor does Mari. Granted, we don't see enough of Mari to actually be able to know one way or another, we see plenty of Shinji. If it truly was losing her humanity that gave Asuka this strength, the amount of time she's been without her humanity shouldn't really have an impact on her strength (saying here she shouldn't have slowly become inhumanly strong over time), meaning there isn't an excuse for Shinji not being similarly crazy strong. StrokeMeGoat: Between Occam's Razor and the Law of Conservation of Detail in Fiction, I'm not a little confused by your post. 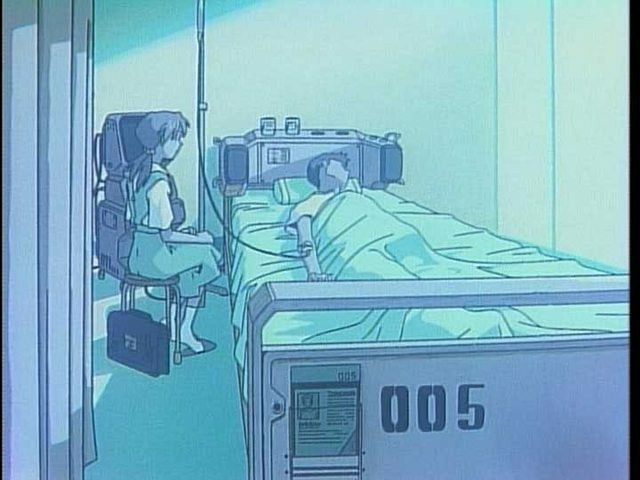 When it comes to posthuman weirdness, Asuka is a double-whammy: she was pulled deep into Eva-03's core (resulting in "loss of humanity", -->? Curse of Eva), AND part of her body has been modified or corrupted by the 9th to the point it needs to be technologically contained. It stands to reason that Asuka's unusual show of strength is intended to tie into her altered state of being, and not be a drunken non sequitur like "she's a cyborg". If Asuka is a cyborg, then she's a cyborg in the sense that the Evangelion Units are cyborgs. She's a cyborg in the sense that the technology is there to hold her strength back, just like Unit 01's metal-plated armor is there to hold it back. I guess there could be some interesting symmetry when it comes to Unit 02's mechanical limbs and whatever is theorized about Asuka's proposed mechanical limbs. Either way, there little to no evidence for any one particular cyborg idea to really be proven one way or the other. Right now anything different about her can and probably should simply be attributed to the "Curse of Eva," which is a term that has little to no canonical definition anyway. Reading this thread all I can now think off is this image. Asuka having cybernetic limbs would certainly make sense, and IMO it doesn't contradict any other theories about her survival. Her referring to the others as Lilin could be interpreted as a sign that she now considers herself to be more machine than Lilin. Or, perhaps she was simply trying to make things easier to understand for Shinji and Rei Q. There's evidemce for both the cyborg theory and the Angel theory, from what I can see. You're only now figuring this out? 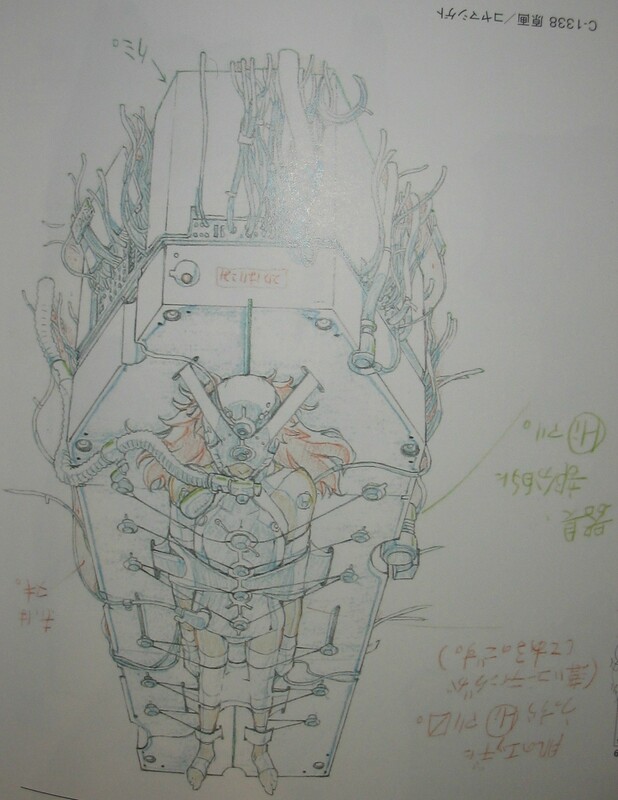 Cybermat: Did you miss the image BlueBasilusk posted showing that Asuka's limbs are intact after the 9th Angel incident? Also note the comments on Occam's razor and the law of conservation of detail. The film already provides an implied explanation for Asuka's strength. Where amidst Asuka being absorbed by an Angel -- complete with Ritsuko announcing the threat to her humanity -- and now having to use Angel-sealing tech on herself does "no way she could have superhuman strength unless she's a CYBORG!" fit, exactly? Reichu wrote: Cybermat: Did you miss the image BlueBasilusk posted showing that Asuka's limbs are intact after the 9th Angel incident? That looks like concept art to me, so we can't be sure if it's canon or not. We would need a clearer image from the film itself to be sure. And in any case, there were plenty of opportunities for Asuka to lose limbs in the 14 year gap between 2.0 and 3.0 - it's illogical to assume that she could have only been injured to that extent in 2.0. "Although all traces of cellular contamination have disappeared, we cannot rule out the possibility of mental contamination from the Angel." Asuka may be an Angel mentally, there's plenty of evidence to prove that, but it's clear from that dialogue that she's biologically a Lillin. 1) She has cybernetic limbs. 3) It was simply artistic licence. It's not concept art. It's genga -- the finalized artwork, before digital inking and coloring. The colored pencil work is a guide for the digital colorist. You have to square away what Ritsuko says then with information that's provided later. Asuka's eye patch is infused with Angel-sealing hex glyphs for a reason. 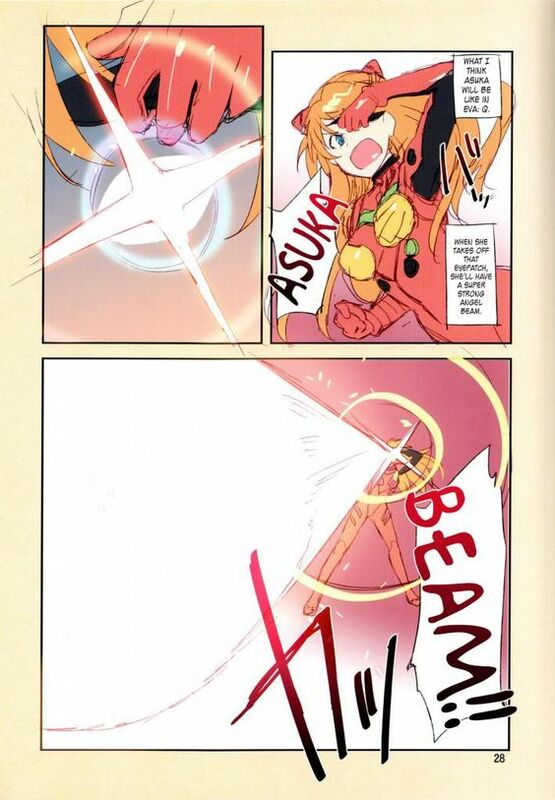 The Angel itself is dead, but Asuka herself was clearly altered somehow. Otherwise, well, there wouldn't be anything that needs to be 'sealed away', and her eye wouldn't be glowing under the patch when she gets mad. Also keep in mind that Ritsuko's comment concerns the Angel only*; the humanity-risking effects of getting too close to the Eva are not commented on. Asuka, of course, says that she's affected by "Eva's curse" (incidentally, not that long after the glass-cracking punch). * ...Though, who am I kidding. The 9th Angel is totally responsible for the eye. Reichu wrote: It's not concept art. It's genga -- the finalized artwork, before digital inking and coloring. The colored pencil work is a guide for the digital colorist. I would say that she was mentally contaminated by the Angel. If it was something to do with the Eva, why would there be Angel sealing glyphs? As for what the nature of this mental contamination is, I suspect we'll find out in 3.0+1.0. You have yet to explain how "psychological contamination" would make someone's eye glow blue. This isn't just a beast mode thing; it happens when Asuka isn't anywhere near an Eva, too. Ritsuko: The cellular erosion has dissipated. We cannot rule out the possibility of mental contamination from the Angel.